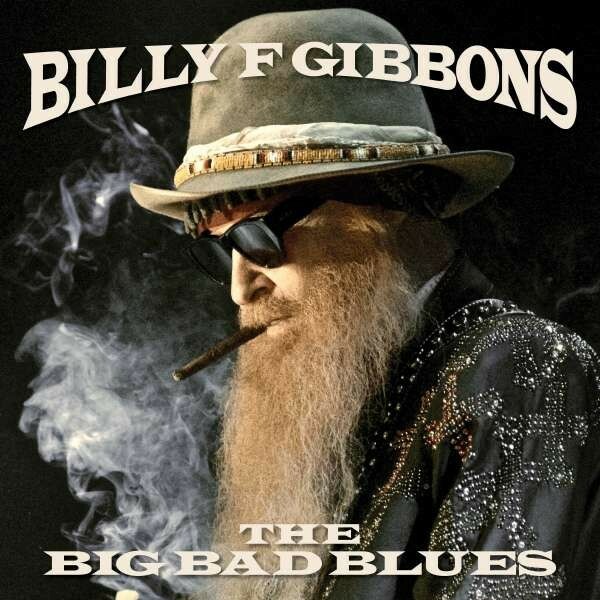 Billy Gibbons is smoking big time here and sounds better than ever. Almost fifty years ago, Billy Gibbons put together Texan Boogie merchants ZZ Top who have over the decades delivered some of the juiciest slices of low-down Blues ever committed to vinyl. Not only that, but with their groundbreaking 'Eliminator' opus in 1983, they brought the Blues to a whole new audience by adding a chartbusting modern twist to the tried and trusted genre. ZZ Top are bona fide legends that are loved by their fans, feted by their peers and even praised by the critics – who doesn't love them? Guitarist and vocalist Gibbons now returns with only his second solo album in half a century, 'The Big Bad Blues' being his follow-up to the Cuban-tinged 'Perfectamundo' which came out in 2015. Whereas the Afro-Cuban influences of 'Perfectamundo' proved a tough pill to swallow for enthusiasts of his more traditional work, but was welcomed by those who enjoy an artist spreading their wings, there are no such controversies with this album. Gibbons hasn't just taken a step back to his pre-'Perfectamundo' days, but leapt all the way back to his very early influences and stamped his signature sound right through the middle, the album opener, 'Missin' Yo Kissin'', coming straight out of the 'La Grange' powerhouse Blues shuffle stable. 'My Baby She Rocks' features a slow, grinding groove that's wrapped in some rasping harmonica, the latter sparring with Gibbons in full flow, while 'Second Line' is a sassy stomper. His long-standing fans will be absolutely delighted as it's raw, it's rugged and Gibbons sounds magnificent. His rich, gravel-tinged vocals have matured with age, while his guitar work is schooled so deeply in the less-is-more class that every single note counts for something and not a second is wasted. This release features a mixture of originals and choice covers, including the Bo Diddley classic 'Bring It To Jerome' which Gibbons roughens up in masterly fashion, just like dirty, greasy Blues should be. Muddy Waters also gets the Gibbons treatment twofold via 'Standing Around Crying', one of the album's more laid-back numbers, while 'Rollin' And Tumblin'' is a case of "get the motor running and hit the pedal to the metal". 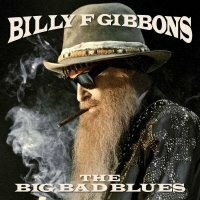 The album title pretty much says it all; it's big, it's downright bad and unmistakably Blues – Billy Gibbons is smoking big time here and sounds better than ever.